Do you know why we condition in parkour and what is important in conditioning? What kind of exercises develop strength? What are the various techniques in parkour and what is important to keep in mind while practicing each of them? I have recently explored these and many other questions related to coaching parkour at a qualification workshop held in London from the 28th to the 31st of May. The event, just like many others throughout the year, is organized by ADAPT (Art du Deplacement and Parkour Teaching), the official qualifications body of Parkour UK. Established by some of the famous Yamakasi French traceurs and their disciples, Parkour UK is the National Governing Body for the discipline, and works in partnership with various organisations and other agencies to develop and spread parkour across the UK. To respond to an increasing demand for parkour classes and, thus, qualified parkour coaches, Parkour UK partnered up with “1st4sport” qualifications to offer two levels of qualification awards. 1st4sport is an awarding body recognised and regulated by the UK Office of the Qualifications and Examinations Regulator (Ofqual) and the Scottish Qualifications Authority (SQA). How does this compare to the sports situation in Austria and to the connections that the Austrian parkour world has developed? Anyways, to recap, Parkour UK and the official British awarding body 1st4sport now work in partnership to develop and award two parkour qualifications: Level 1, for assistant coaches, and Level 2, for parkour coaches. This being said, one might wonder: I can practice parkour and teach it to my friends any time, why bother with obtaining a (British) qualification? One might also claim that parkour belongs to the rough life of city suburbs and countercultures, and as such it is a phenomenon that cannot be mixed with more or less formal education. To me, nowadays parkour has many facets and has undeniably taken many different directions when compared to its origins. In fact, it is interesting to remark that in early 2006 the Westminster Council in London enlisted the services of two parkour instructors (Francois “Forrest” Mahop and Dan Edwardes of Parkour Generations) to teach the discipline within several inner-city schools and community sports centres. Parkour Generations claims that this groundbreaking project has been a huge success and has gone from strength to strength, with local councils all over the country now desperate to reproduce that which Westminster has pioneered.
. The documentary by British filmmaker Julie Angel follows Dan Edwardes and Forrest as they teach parkour to young people as part of the “Positive Futures” programme of the UK Government. Given these credentials, let’s try to briefly review some reasons why one might want to consider taking a trip to London (or elsewhere) for an ADAPT qualification. First, it’s a learning experience, where you meet fellow traceurs and experienced coaches. Second, it helps to understand the important elements in planning and delivering a parkour class, which is rather different from some unstructured practice or a group jam. Third, one learns to be in charge, to develop good communication, to manage time and groups of people, thereby recognising the various levels and needs and presenting challenges adequate for everyone. Finally, through such training one learns how to prepare a lesson plan, which includes a warm up session, a technical session, a conditioning session and a cool down. 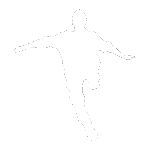 The website of “1st4sport Level 1 Award in Coaching Parkour/Freerunning” also adds that this structured and progressive programme of sports coaching can be used to gain paid or unpaid employment as an assistant parkour/freerunning coach, or as a stepping stone to the 1st4sport Level 2 Certificate. What would be your motivation? If you’ve had a parkour coach before, you could perhaps recall some examples of his or her coaching character and coaching skills. For instance, how about the body language and communication? Was he or she fun, approachable, positive and encouraging to all? And about the lesson planning, was there a good space management, competence, as well as risk management? Some people have a special talent and passion for teaching and coaching; in many cases, however, there are skills that can be learned and practiced. There were many aspects that we explored during the 4-day workshop. The first day was dedicated only to the so-called ‘prerequisites’ according to British standards for coaches, namely: first aid, ethics and integrity, and child safeguarding and protection. After that, the workshop style was very practical: with us we had Forrest who, during two days, offered plenty of opportunities to explore everything by doing. Each of the 10 participants was given 10 minutes each day to coach a mini-session – which could be some warming up, some specific technique like vaulting or rolling, or some conditioning drills. Concepts were easy and nicely explained, and there was a lot of time to review things in case of doubt and, most importantly, to practice. After every mini-session there was always a feedback session, where both you, the other participants and Forrest have a chance to review what went well and what could be improved. The last day was dedicated to an examination, which encompassed both a written test (that everyone passed!) and a practical test, consisting in a mini 10-minute session very similar to the ones we’d been practicing in the previous days, but on a surprise topic chosen by the assessor on the spot out of warm-up, technical, or conditioning. Our external assessor was Chris “Blane” Rowat, who, by the way, will be teaching a workshop on 24 and 25 August in Linz to celebrate their 10 years of operation. To obtain the award, one must also log eight coaching sessions assisting a level 2 coach, and two sessions assisting a level 3 coach. The qualification does not come for free: counting also the first aid training, it topped 400 British Pounds (that is 468€). As made clear by ADAPT, the Level 1 Assistant Coach is an individual who is capable of assisting a Level 2 Instructor or higher in running a parkour session. A Level One Instructor is not qualified to run or lead sessions alone. He/she can assist in teaching the basic principles and exercises of parkour safely and accurately, as well as conveying the spirit of the discipline and the correct approach to training. As a certified Assistant Coach, you don’t need to know everything about parkour: in my seminar there were guys who had never practiced parkour before, and I myself am very far from being proficient in every technique. But even in these cases, you can do a lot in helping to share and disseminate the spirit and the practice of parkour. It is with Level 2, however, that the game starts becoming definitely tough, since a very good level of both coaching and physical skills is required – 6 out of 10 Level 2 course participants don’t make it to the final award. Finally, I should mention that both level 1 and level 2 coaches benefit from the coverage of the risk insurance stipulated by Parkour UK, and this coverage is valid everywhere in Europe. So, what are your thoughts about the possibility to a become a qualified parkour coach? How would you like to get your local city or school council to support parkour classes? The floor is yours in the comments section (I’ll do my best to understand those in German, in case you don’t feel like writing in English). In the meantime, keep moving, keep free. As their website states, the Parkour Generations Academy has become the largest teaching establishment for parkour / freerunning in the world, and has been the model for most global teaching to date. In 2008 Parkour Generations and the Yamakasi founders collaborated to create the A.D.A.P.T Qualification programme for those people who wanted to become recognised coaches or parkour. A.D.A.P.T is now the world's only recognised coaching qualification for parkour, and it has been adopted and implemented by the UK's National Governing Body, Parkour UK, and endorsed by Sport England and the London Olympics Inspire Mark Programme. Parkour Generations delivers the ADAPT qualification globally from its bases in the UK, America and South-East Asia. Qualification courses can be arranged in any country in the world, delivered only by Level 3 instructors.